Personalised gifts from Beano say it all. 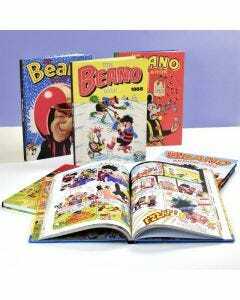 Not just one in a million, you can make your Beano Christmas gift absolutely unique by tailoring it with a message or a name. The tough decision is what to say: you can keep it simple with a to and from, or mark a birth, marriage or another special celebration. 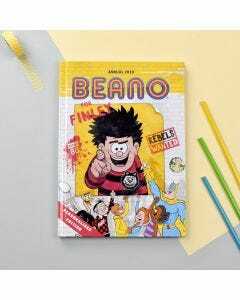 Whether you're popping corks at an sixtieth birthday party or looking for a novel way to pop the question, say it with Dennis, Gnasher, Minnie or the Bash Street Kids, and a personalised message in a Beano product.